Park House is an elegant period English home and Luxury holiday cottage with lots of space for you and your guests to enjoy a relaxing stay or special celebration in the beautiful Somerset countryside. For parties of 12 to 16 family members or friends including children.Owned by one family for 400 years, this historic house and luxury holiday cottage has antique furniture, family paintings and real log fires and is set in 22 acres of wonderful gardens and grounds. Cossington Park is a really beautiful house, full of charm and interest and sumptuously comfortable. A perfect setting for a family weekend away. Thank you for your very kind comments. Do please come again! A superb location with great facilities for a large group/special occasion. Delightful. climbed the Tor, Wells and the Cathedral, and Brean headland (National Trust) near Weston-Super-Mare. in the house. Our stay was a delight to be able to share this magnificent home and history of the owners. tap was stiff and needed adjusting. The staff were aware of this. One suggestion is there could be more hanging space/hooks for coats (the coat stand was inadequate) and perhaps a space and rack in the hall for outdoor shoes. Dear Graham & Di, Thank you for taking the time to write this review and I am delighted that your party enjoyed the stay so much. Thank you also for your constructive suggestions. Our plumber is tackling the shower problems this week. As regards the hall, I have explored the possibility of building a new entrance way to provide more space for coats and boots, but cost and listed building regulations make this problematic. But in the short term, we'll review again and aim to provide more hooks and a place for shoes. We were three generations in an age range from 4 yrs to 82 and the house more than met all our needs. Beautifully presented and extremely comfortable. We loved our family weekend at Cossington Park House. It’s a beautiful place, with all the modern comforts you require but in a traditional home. It was a great place to celebrate a special birthday weekend. Thank you. We rented Cossington for a family birthday as we wanted a home away from home, house party. We’d stayed there many years ago and it was as lovely as we’d remembered. It’s certainly spacious with lots of rooms to relax and unwind in. The kitchen is wonderful and caters for large parties - loads of glasses, crockery, pots and pans etc. The library is a wonderful place for a large dinner party. On a cold (ish) November weekend it was great to have roaring fires on the go. Everyone complimented on the comfort of the beds and facilities so a win all around. It’s proximity to Glastonbury and Wells meant day trips were easy so there were places to go for those who wanted to escape for while. But it was equally lovely wandering around the gardens though there’s not much to the village itself. We had The a French Kitchen cater for our dinner party and they were fantastic. And finally, we had a couple of niggles / requests but Christine sorted these out immediately and accommodated our requests so thank you. We just love Cossington Park it has such a lovely energy! Both the Cottage, the house and the grounds are amazing and we return year after year! The property is well maintained, clean and comfortable. There is plenty of parking and space to walk round the grounds. We all enjoyed our stay at Cossington Park. The highlight of the house was the beautiful garden that was perfect for BBQs and Garden games. We stay in Cossington Park the 4. year in row. - Excellent - sensationell und in jedem Fall sehr empfehlenswert. We stayed for a long weekend to celebrate two 70th birthdays. We were 7 adults, 4 children under 8 and a baby. From the moment of our arrival everything about Cossington Park House met our expectations and over the weekend many things exceeded them. The house is beautifully decorated in a homely yet very elegant style throughout. It is comfortable and there is plenty of space for everyone. All the bedrooms were beautiful with contemporary and very clean bathrooms (only one small bedroom does not have an en suite and even then there is a bathroom on the landing immediately adjacent). The feel of the house is wonderful. I was up several times a night with a small baby and the tranquility of the house was very special. The gardens were lovely and we were able to let the children run around the large lawn, kitchen garden and play area to their hearts content. It was great for them to have such freedom in a safe environment. The kitchen and dining facilities are by far the best we have experienced in an english holiday rental. We enjoy cooking while away and often find claims of “well equipped” kitchen fall well short of the reality. The opposite here - everything you could want, in good condition (baking trays in perfect condition, good range of saucepans and pans with lids, good selection of sharp knives) and more than ample crockery, glassware and cutlery for a large party. The two dishwashers were also a big help when clearing up after our celebration. And the dining room was a perfect space to hold the celebration as we had to move our outdoor bbq/garden party plans indoors due to torrential rain! All in, the entire family absolutely loved Cossington Park and can’t wait to go back. Everything was great at Cossington Park. We loved the house and the park around, the lovely attentions for the guests. We will definitely rent it again. We stayed at Park House for a week to celebrate a 70th birthday. It was a fantastic venue for both adults and children alike with extensive grounds and excellent accommodation. The house is really well equipped a real 'home from home'. There are lots of activities available around the house, many of which can be arranged prior to your stay with the help of the really helpful customer service team. We took advantage of the 'Beauty at Cossington' and had a couple of catered meals by Jacci Cawte and were very happy with both. I can not recommend Park House highly enough if you are looking for a really lovely venue with excellent amenities. House really does embrace one in a cozy comfy ambience. Plenty of room for everyone to have personal space while spending time together. We found everything very clean and well provisioned. Staff very professional and responsive. We were a group of friends getting together with our husbands, babies and children for the weekend. Park House was perfect and we had an amazing time. Lots of space indoors and out and the house was so well equipped for adults, children and babies. There was a generous hamper and there is a pub walking distance for a very casual kid friendly meal. I would highly recommend Park House. We hired Cossington Park House to celebrate our golden wedding with friends and family. A wonderful atmosphere for a special occasion. The house and grounds lend themselves to week or weekend visitors. 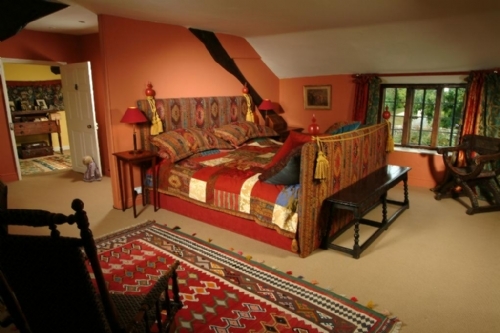 For larger parties or groups there is additional accommodation in two adjoining cottages. Although we did not use the bedroom and en suite accommodation in the main house, it is all of a very high standard. For our caterer, the kitchen facilities were ideal for his and our needs. The property is situated in the middle of a beautiful village. The staff were welcoming and helpful. We could not have chosen a better venue for our celebration. If you are looking fo a place for a group of various ages to get together and relax, look no further. We were a family group , ages ranging from 5 months to 73 and Cossington suited us perfectly. The Two sitting rooms meant we had a room for kids and their games and toys and another for adults . It was great to be able to eat together in the large dining room and although we didn't use the gardens , they were lovelyto look out upon. It was really well equipped and we appreciated the generous welcome basket.The interiors were charming and comfortable and it also felt very homely, unlike some places that have been interior designed and feel like a stage set. The pub down the road has a skittle alley which provided an early evening's entertainment; we hope that we weren't too noisy for the locals! A great place for a family holiday. The grounds were beautifully kept and we all had plenty to do. Very dog friendly and all our mutts had a great time aswell as the adults. The house was plenty big enough for us all to have space to follow our own pursuits if need be. The didning room was great for big family meals. The kitchen was very well equipped. The house seems very well maintained in a shabby chic way which meant that we all felt comfortable. The only slight problem was the small refuse bins, and we were in some confusion as to where to put them for the collection. However, that was the only small niggle in an otherwise super vacation. The glorioius weather certainly helped. All in all a quite lovely place for a family get together. Dear Karen, thank you for staying with us at Cossington Park and for your kind and helpful comments. We do usually explain where the rubbish and recycling goes and we provide large bins, so I am sorry that our usual procedures let us, and you, down on this occasion. My wife and I arrived early and were welcomed by the cleaners who had been instructed to let us into or room. We were totally bowled over by the house and it's surroundings. We needed a variety of bedroom configurations: one with only a double bed, another with a double and a single bed and a cot, another with a double and a single bed, and a room with two children's beds next to there parents' bedrooms. All were set up before we arrived. there was lots of space downstairs, including a massive dining room with a table seating 12 adults and another table for 7 children, ages 1-8.
outside the grounds were spectacular, beautifully maintained with lots of game equipment, including a badminton area and a small football pitch. There was also a games room with a snooker table and a table tennis table. Caterers came in to provide us with a splendid banquet on the Saturday night. We would recommend anyone who wants such a large well-equipped house to book it. For our daily trips Cossington Park was the perfekt base to start and to come home again. We are there the 3. year, and we come again the next. This was the perfect place for a dispersed family get together, the house was so clean, comfortable and well equipped. The gardens are fabulous, space for everyone of all ages, playing croquet and badminton and / or dozing in a comfortable chair in the shade. The house is so full of character, plenty of space for the 16 of us in the main house. The beds are comfortable, the bed linen and towels are the best I have have ever come across in a rental property, we all loved it and are already planing a return visit!! Thank you to everyone at Cossington for making such a memorable get together. We stayed at Cossington House at the end of May to celebrate my wife's 60th birthday. Altogether there were sixteen of us, ten adults, five children between the ages of 3 and 9 and the youngest member of our party who was 15 months old. The house and garden had plenty to offer our three generational group with open spaces to play, quiet places to relax and comfortable places to simply catch up with each other. All in all, there was plenty of room to accommodate us all happily. We settled in quickly on arrival, the house was extremely well equipped and we soon found everything we needed. The whole booking process was dealt with efficiently and any questions we had regarding the property were answered promptly. We were also advised on where we could meet up for Sunday dinner before we checked-in and were very pleased with Lorraine's recommendation of The Bower Inn. We were greeted shortly after our arrival by Dave and felt assured that the staff were keen to ensure our stay was as enjoyable as possible. The only point I would make is that two people in the group managed to get bleach on their clothing from water splashing up from the sink. There was a strong smell of bleach which indicated how clean the property was but unfortunately a top and a shoe got ruined. Apart from that we had a great time and would thoroughly recommend the house to any groups wishing to stay in Somerset. Dear Belinda, we are delighted that you enjoyed your stay at Cossington Park but are horrified that two items of clothing were damaged by cleaning solution in the sink. We have never experienced such an event before and will reimburse the cost of the garments. A perfect location for a family gathering. Park House is spacious and intimate at the same time; both inside and out there are so many places for people to relax in peace or enjoy being together. There is a very good combination of the old and the new throughout the house. Historic furniture matches the house and at the same time the bathrooms, kitchen and laundry equipment are up to the minute, modern and efficient. Overall there was a lovely sense of being welcomed that was enhanced by kind touches such as the hamper of local products sitting on the kitchen table for our arrival. All in all a rather special place to spend special time together. Perfect venue for a multi-generation family gathering. House and garden deliver the "wow" factor. Best equipped kitchen ever! Our second stay at Cossington, our first six years ago, and again last week but this time with children. Such a gorgeous property that just works so well for a large group, and the beds were so comfortable. Would love to come back again. We were really impressed with this house. We were a group of 4 families and it had plenty of space. We also had some lovely walks locally. Really very happy with everything and would highly recommend it. A beautiful house. Would definately stay here again. We spent the weekend here with friends and kids, a total of about 24 of us, and really enjoyed our stay. Beautiful house with beautiful rooms, beautiful gardens in a beautiful location. I can not fault the place. As there was a lot of us it was a shame that one of the showers did not work but otherwise the other 2 showers worked fine. I was worried that the place would not have everything we would need but it LITERALLY had everything you could possibly need!!! From washing up liquid and cleaning agents to every type of utensil you could possibly need to cook. The gardens were lovely for the kids to just run outside and play. Luck was on our side and the weather was great which was even better. There was a lovely welcome hamper on the table which included 3 different types of wine, but no one in our group drank alcohol so we left it behind. I think an assortment of juices next time would be appreciated, but still chuffed nevertheless. We had an amazing stay at this cosy, characteristic, beautiful home. Would definitely recommend it. We had a lovely time. The property is spacious and the kitchen is very well equipped. We loved the thoughtful touches e.g. the welcome hamper and in particular the ingredients to make bread, which was delicious. We enjoyed the beautiful gardens and had some highly competitive and enjoyable games of croquet! The only thing that marred our visit was a 10-hour power cut on the day and evening we had planned a special meal. While this is out of the host's control; we were told such power cuts were not uncommon. Although we were given some torches, the batteries did not last and we had to move around the house very cautiously. Otherwise a lovely stay. We would definitely return. Even better second time around!! This is our second visit this year and we had a wonderful time in this amazing property which is full of character and interest. The beds are super comfortable and the house has a wonderful feel to it. The gardens are breathtaking in summer time. The children enjoyed the games provided and exploring the grounds. The kitchen was the most well equipped kitchen I have encountered and we had no problem cooking up some delicious meals for family and friends. I would thoroughly recommend Park House to anyone looking for a family friendly location for their holiday which also provides a warm welcome for the family dog. We didn't want to leave and I am sure we will be back. This house and garden ooze the "wow" factor. Our family of 4 generations had the most perfect weekend at Cossington Park. Nothing could have been improved on. We stayed for 2 nights to celebrate my 40th birthday and it was outstanding. The impact of the house as you enter the main door is amazing and only gets better as you discover room upon room of beauty. The gardens are immaculately kept with plenty of space for games or just relaxing in the delightful surroundings. There is a short walk to a pub where everybody was very welcoming. I would recommend this property to anyone who just wants to stay in beautiful surroundings and live like royalty for a few days. We loved our time at Cossington Park- fantastic house and gardens. Would absolutely recommend! We really loved it here; they had everything we would have wanted and more. The kitchen was particularly well stocked up and there was a lovely hamper to greet us. The weather was gorgeous so we spent much of the time in the wonderful garden space. Only slight issues were wifi didn't extend further than dining room and hot water was a bit inconsistent for showers etc. Aside from that, we loved it! Would definitely recommend to others. Thank you for staying with us and for your kind comments. We had a family birthday party here over a long weekend. The accommodation was perfect for 12 people - spacious rooms but not so big that we rattled around. The kitchen and dining rooms had ideal layouts. Everything worked and there was helpful information and advice available beforehand and afterwards. We arranged a celebration dinner with one of the recommended cooks and this too was excellent. Also an item of clothing left behind was immediately posted to me. Everyone thought it was an excellent house in which to stay for this sort of occasion. My only caveat was that the bed in the bedroom at the top of the main stairs was intolerably soft. Dear Vernon, Thank you for staying with us and for your kind comments. That soft bed is my favourite - just goes to show how different our tastes are! It's a new mattress and we were not planning to replace it just yet, but we'll change it if others agree it's too soft. We had a lovely stay at Cossington Park - what a lovely house. My son and some of our friends loved the books. We enjoyed sitting in the kitchen, cooking and chatting- the kitchen is really cosy and so well equipped! The beds in the bedroom were very comfortable, although we did wish the bedrooms were all en-suite. The women specially enjoyed sitting in the pink room and chatting. The children enjoyed playing table tennis. All in all a great weekend away - we hope to come back and stay longer! Dear Sujata, Thank you for staying with us at Cossington Park and for your very kind comments. We certainly do hope to welcome you back! The house had everything you wanted for cooking, entertaining, and endless toys for the kids. We had a fantastic time. Will recommend and come back!!! Dear Julia, It was a pleasure to welcome your party to Cossington Park. We do hope that you recommend AND come back! Thank you. Right from my initial enquiry I found the experience of Cossington Park to be outstanding. Such helpful and approachable people to deal with that put themselves out to ensure we could have exactly what we needed. On arrival our expectations were so exceeded by the house itself - just stunning and there there were fabulous welcome hampers as well. As we explored it and settled into our rooms it became obvious that quality oozes from every piece of furniture and you are surrounded by the history of the house and family. The accommodation is fantastic with everything you could possible want to and lots you never dreamt you needed! Despite being awful weather the house was warm throughout and although we couldn't get to enjoy the gardens we could see that they are beautiful and surrounded by farmland. I would thoroughly recommend the venue for any gathering or event where you want to get a large group together yet still have space to relax. Beware there is pretty well no phone signal indoors but that can be a bonus! Some boosters to the wifi would perhaps be the only addition I can think of that would have improved our stay but that was only because we had quite a few sport fans wanting to watch online sports! We were very impressed with Cossington Park, there was acres of room for our party of 11, it was immaculately clean and all the equipment was top quality. All the bedrooms and bathrooms were fantastic, only the water pressure in the showers a little disappointing but don't let this put you off its a fabulous house. This is a wonderful place to relax in and explore. The house is comfortable, elegant, homely and welcoming. Everything you could wish for is provided. The kitchen is a cook's paradise, the beds sumptuously comfortable and the sitting rooms beautifully furnished. Moreover, it feels like a family home and there are so many features, particularly the vast and extraordinary collection of books, to explore. The staff do everything possible to make each visit memorable and provide a gorgeous welcome hamper on arrival. It's peaceful, quiet and the spacious grounds lend themselves to birdsong and a lovely country stillness. It's a magical place to unwind in and enjoy with friends and family. We can't wait to return. Dear Suzy, what can I say! Thank you SO MUCH for coming and staying with us yet again and for your very complimentary review. We can't wait to welcome you back yet again. We loved being there again for the third time. Some small improvements required. Very dusty and dark in the front sitting room, no wifi other than in the library. Missed being able to sit in the library, did not like eating in the library that much. Much prefer it to go back to how the furniture was configured. People ended up sitting in library on uncomfortable chairs to access wifi,, we could not all fit comfortably into the front sitting room as too many of us. The front sitting room was very dusty and caused us to sneeze a lot. Preferred it a lot more when we ate in the red dinning room and the library was a sitting room so we could all fit in and sit together, children could sit with us and access their wifi, we could all watch TV together and we could all open our Christmas presents together seated comfortably. So we were a bit disappointed at the new lay out and did not really like it that much. It's also go quite expensive. That may be due to the Christmas period? Beautiful house, appreciated the lovely welcome basket of essentials and wine. Thank you for coming to stay with us and for your kind comments. We hope very much to welcome you back again one day. We had an extended family gathering covering 3 generations to celebrate an 80th birthday. There were 14 of us and the children were on camp beds but we were all very comfortable. We loved the house which felt very homely and welcoming. The gardens were beautiful and extensive. We enjoyed formal dining in the lovely booked lined dining room as well as the more relaxed atmosphere in the large kitchen/breakfast room. The kitchen was superbly equipped and had 2 dishwashers. There was an extremely generous welcome pack including wine and produce from the local area. Even our dog was made to feel welcome with a gift and water bowl. The drawing room was big enough for all of us to relax together in the evening, The layout and 2 staircases were perfect for hide and seek while the huge number of books provided entertainment for the more erudite members of the group. Highly recommended for family get-togethers. Thank you for coming to stay with us at Cossington Park and for these kind comments. We are delighted that you enjoyed your stay and hope we may welcome you back. We had an amazing weekend at Cossington Park with 14 friends, old and new. My husband had no idea and was in a daze all weekend, which started with a glass or two of champagne from the complimentary basket of local drink and food products. We used Mark Country Catering for our first evening meal on my Husband's actual Birthday. Jacci set the table and served an outstanding meal. Everyone stated how comfortable the beds were the next day and the ladies enjoyed some pampering from Fay who provided manicure and hand massage with champagne, while the rest had a breakfast feast. I had booked a walk with Siobhan from Wells Walking Tours for those who wanted to take advantage of some of the local tourist venues. She was really excellent with lots of local knowledge and very funny. She had even arranged for the Town Cryer to announce my Husband's 60th Birthday! We took a diversion through Cheddar Gorge and finished the day with a BBQ back at Cossington. The facilities and equipment are more than adequate. Sunday was a very chilled day in the grounds and rooms at Cossington with a trip to the local pub with a special offer of £1/pint for one local ale! Fabulous! Fully recommend! We, six families, stayed four nights in this lovely English cottage in the summer time. The facility in the cottage is really five star, a full comprehensive kitchen equipments and comfortable beds. Kids loved playing football and cricket in the front garden yard and adults enjoyed a couple of activities e.g. wine tasting, afternoon tea and woodland carriage trip. We had lovely enjoyable time there and would definitely like to come back again in the near future. We had an amazing week at Cossington, the location was superb, the house was awesome and everything from the welcome pack to the people who made it really special a truly memorable holiday. adviseable for all groups, rooms and kitchen are avectionate furnished - all was fine!!! Thank you for coming to stay with us at Cossington Park and for your very kind comments. We look forward to welcoming you back. What a wonderful home and gardens! There is ample private parking for several cars, and the very large gardens and field are fully secure from the main road for children and dogs to run around in. There is an open barbeque area that we used each night. The gardens are something else- different planting areas, screening, and a peace and tranquillity that has stayed with us. Inside the house, it was spacious and each room was full of interesting books and pictures, so lots to explore at each turn. There are different size bedrooms, some double some twin, and all with their own character, and the different bathrooms meant we could choose whether to shower or have a deep bath. The kitchen was very well equipped- bring a favourite bread recipe as there is a bread machine and our hamper had locally sourced flour, lots of storage space, two large fridges and beautiful views of the front garden. There is Sky but not sports. Wifi coverage was limited in the house, but we could get this when outside. We felt at home as soon as we arrived, and would be delighted to return. Thank you so much for staying in my home Cossington Park and for your comprehensive, kind and constructive comments. We will see whether we can improve the WiFi and get Sky Sports - and hope you will visit us again one day! Cossington house was a perfect location for our grown up hen do. Really well equipped - amazing welcome hamper - an absolutely beautiful house in stunning grounds. Would definitely recommend! Dear Katie, thank you for visiting Cossington Park for your 'hen' and for your kind comments. I am delighted that you enjoyed your stay and we hope to see you back one day. We booked Cossington Park for my 30th birthday celebrations with my closest friends. There were 15 of us. We played a murder mystery game over dinner, the house was perfect for this! We had ample space in the living areas however i would say that sleeping 15 was a bit tight. Ideally i would say 12 adults would be best. The house is beautiful and full of everything you need. Very clean and the beds were so comfy! The grounds were amazing and we had a wonderful time. I would definitey go back. Thank you Cossington Park. Thank you for coming to stay with us and for your kind comments. This month we have opened our cottage adjacent to the main house so there is room for all your guests with HEAPS of space. We hope very much to welcome you back. The house and gardens certainly have a wow factor are beautiful, spacious, well equipped and maintained and caters well for families with children. There is good offroad parking for several cars. The kitchen is a good size, well quipped including a bread maker and other up to date catering equipment. There is a large modern range induction cooker and also a fridge that stocks wine and provides ice and cold water. The bedrooms are very comfortable lavish and some with modern ensuite bathrooms with adequate hot water for all the family. We had minor issues with shower pressure and temperature control and a tv that did not initially work but this did not mar our overall enjoyment of the property. We would seriously consider going back again for other family celebrations. Other suggestions which we found helpful included outside caterers and archery. Thank you very much for coming to stay with us and for your very kind comments. Plumbing is always a challenge in such an old house but we will do what we can to improve. We do hope we can welcome you back one day and hope to make your next visit even more special. A family celebration long weekend took us to Cossington Park and the wonderful Kate cooked dinner on the Friday evening for us, a lovely homely house and gardens! Wow - thank you for your stunning review! We are delighted that you enjoyed your stay so much and we look forward to the challenge of exceeding your expectations next time! 5 families stayed at cossington park, 10adults & children including babies and toddlers. Great house very cosy but spacious. Fantastic gardens. Would definity return. Thank you. Thank you Emma for your very kind comments. We look forward to welcoming you back again. Park House is a cosy, comfortable cottage in a rural location. It has something for all ages. It looks out onto beautiful gardens & the house is full of interesting things, it has a very homely feel to it. The kitchen is very well equipped for dining in, and the living space offers plenty of room for everyone. Our party had a most enjoyable stay and we would highly recommend. Thank you for completing a guest review of your stay at Cossington Park and for your kind comments. Fantastic house. Plenty of room for everybody. Bedrooms comfortable. Fantastic kitchen and pantry. Lovely welcome basket. Overall a lovely weekend was had by all! A rambling friendly atmospheric house but so well thought out. Everything you needed exactly where you thought it should be. Just an idyllic Christmas house for up to 12 people. Thank you for coming to stay with us and for taking the time to provide this kind review. We hope to see you again one day. Booked for a 60th birthday weekend at quite short notice, on spec, hoping it would come up to expectations but it far exceeded them - a truly wonderful house - perfect for our party and definitely to be recommended. The bedrooms were all lovely and the kitchen extraordinarily well equipped and the house has space to get away from each other. We arrived in the dark and waking up to such a lovely garden view on a frosty morning was bliss. Very pretty and comfortable. Well equipped. Interesting objects and books all through the house. Outdoor space very attractive and well kept. Wonderful stay at Cossington Park, where we enjoyed a family birthday celebration. Ideal accommodation for a family group of 10-12 people. We were particularly impressed with the large range of kitchen equipment, crockery etc, and the amazing welcome pack. We appreciate the use of energy efficient bulbs, but found the lighting generally a bit dim. We found no problem with only four bathrooms, but this might be a factor for an all adult group. The organisation and management of the property appears to be first rate. felt very privileged to be able to share in the historical collection of personal items, portraits and pictures. It appealed to the three generations and we all had a wonderful time at Cossington Park making many happy memories together. First impressions were excellent and the house did not disappoint.The staff were very helpful in making the booking.The accommodation and surroundings made it a most enjoyable break. Another excellent stay, we very much enjoy coming to Cossington, Relaxed and full of character, its always the perfect place for our families to get together. Thank you for your very kind review. You are model guests and it is a pleasure to have welcomed you back to Cossington Park. We look forward to seeing you again. We had a wonderful time at Cossington and in fact did not leave the property at all during our stay because we had everything we needed! There was plenty of room inside for the 8 adults and 10 children in our party plus so much space outside to explore. All our wishes and more were catered for by the team who were extremely accommodating. We would like to return each year!! Dear Amanda, we loved having you too, and hope very much that you DO come back each year! Thank you for your very kind comments. Cossington Park is a lovely rambling house full of charm and interesting things. We had six children with us of age seven and under and they had a wonderful time with plenty of space outside to run off ther extra energy. All that we needed in the way of cots and high chairs were there and there was plenty of space in the house. The adults loved the house and we had a great week end. Thank you very much indeed for your positive comments. We are delighted that you enjoyed your stay and that the children had such a great time. Do please visit us again! We loved staying at Crossington - the atmosphere in the house was welcoming. It was very well equipped and the gardens were beautifully appointed. We'll come back! Thank you very much indeed for your kind comments. We do hope very much that you will come back for another visit - though we cannot promise to arrange such nice weather again! Good good, nice size the only disappointing part was the check out at 10am We called and luckily were able to extend to 12 but I think 11am is more realistic. The house is extraordinarily large, and very well-equipped for everything you could need - whether it's a bread maker, metronome, card table, gun rack, horse, football pitch or a Cher exercise VHS tape. The grounds are excellent too, with good quality outdoor furniture, a charcoal barbecue and croquet set. Even for 14 people, there were more rooms and garden space than we knew what to do with! Absolutely impossible to fault Cossington Park in any regard. We'd definitely like to come back one day! Thank you very much indeed for your very kind review. We would certainly like to welcome you back one day - hopefully before too long! This is the second time we have stayed at Cossington & it is a great place & very well run. I would recommend it for a family get together or groups. A beautiful house in a lovely setting. Fully equipped and very clean. If there was a fault, for the money, every bedroom should have had an En-Suite. Lighting was rather poor, but we coped. Many thanks indeed for staying with us at Cossington Park and for your review. We are glad that you enjoyed your stay. We would love to provide a bathroom with every bedroom but this is difficult to achieve in a historic building which is listed - and we do make clear how many bathrooms there are on our website. Providing good lighting is sometime challenging when we use energy-saving devices to comply with our Gold Award from the Green Tourism Business Scheme, but we note your point and will increase the watt-levels in some of the bulbs. Do please come again. Cossington Park was absolutely fabulous, much older than I thought from the pictures on the web, and for me that was a real bonus. The property is very large and more than adequate for our 5 couples. The kitchen is brilliantly equipped and we were greeted with an exceptional welcome pack. There are two living rooms both with sky and fires and very comfortable furniture. We were lucky enough to have the master bedroom which was fab. A wonderful bed and excellent bed linen, always a plus. We go away every year and this was one of the best houses we have stayed in. Having just spent our second Christmas at Cossington with the family I highly recommend the experience. Thoughtful Christmas decorations had been put up and the house was an ideal setting for a great family reunion and Christmas together including our two dogs. Warm, welcoming and everything you could ever need for a fantastic stay. Thank you so much for coming to spend your second Christmas with us at Cossington Park. We are delighted that you enjoyed your stay again and liked the Christmas decorations. Thank you for your kind review and we hope very much to see you again. We are delighted that Cossington Park proved a worthy venue for your very special occasion (50th birthday). Do please come again! We can't rate Cossington Park highly enough. What a wonderful place to stay and create special family memories. The house was loved by all old and young and we felt instantly at home. Fantastically well equipped kitchen and the lovely hamper was much appreciated. The grounds were amazing and we all enjoyed exploring. The whole weekend was perfect and we can't wait to visit again! Dear Sharon, Thank you for such very kind comments. We are delighted that you enjoyed your stay so much and hope you will come again. we loved the house and the garden and we had great time! the gardens were very big and there was a horse we fed an apple. Thank you for your very kind comments. We hope you will visit us again some time. What an amazing house in a fabulous location! What an amazing house in a fabulous location - equipped with everything you could possibly need. Fantastic place to get the family all together. Would absolutely recommend! Dear Katy, thank you for such kind comments. We do hope you will come for another visit some day. A most beautiful country house. It has a very special homely feel to it. Elegant without being formal or stuffy. Very relaxing. Perfect for groups of friends or families who want to holiday together. Dear Tina, Thank you for your very kind comments. We hope you will come back for another visit. A wonderful place that feels so homely. Our second visit to Cossington and we just love it. I've never been in such a well stocked kitchen! There is more than enough space for everyone so that you never feel cramped. Only slight issues were mix up with email addresses meant that the beds weren't as I thought I had requested and 2 of the double beds are quite narrow! A wonderful place and lovely staff - we had an amazing weekend. Dear Andrea, thank you for your very kind comments - we look forward to welcoming you for your 3rd visit. I'm really sorry about missing your bedding requirements due to Lorraine having changed her email address. One of our double beds is a standard double (4' 6") owing to the rather narrow recess for the bed in that room ("Cobbler"). All others are queen or king size. And I'm sorry for the late response to your comments - I'm just getting used to this new system!